Individuals and organizations need money to conduct their daily businesses. 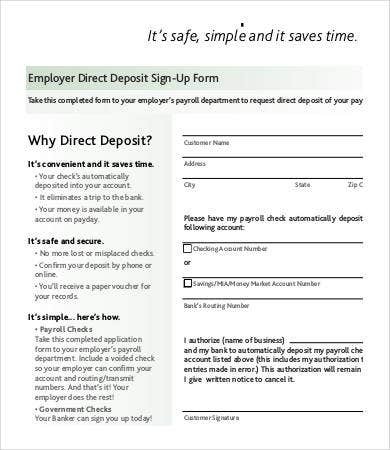 Direct Deposit Forms are the filled in with an amount of money placed as safekeeping or advance payment to a purchase of goods or acquisition of services. It can also become a credit for the individual who placed it, which can be withdrawn, transferred to another party, or used to pay for things or service charge. Savings. The main purpose of banks is to provide a safe and secured place to keep a person’s hard-earned money. People can deposit any amount after another so that the accumulated sum can be used in the future. On the other hand, savings should always be a part of an individual’s budget. 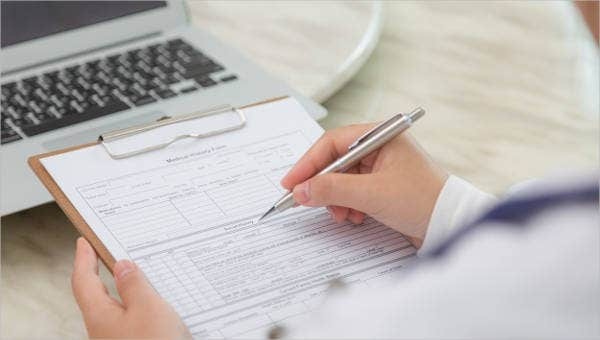 A Budget Form is also a useful tool to help manage one’s income and expenses in order to stay out of debt and bankruptcy. Payment. Sometimes, services offered and high-value products require a deposit before execution and delivery. 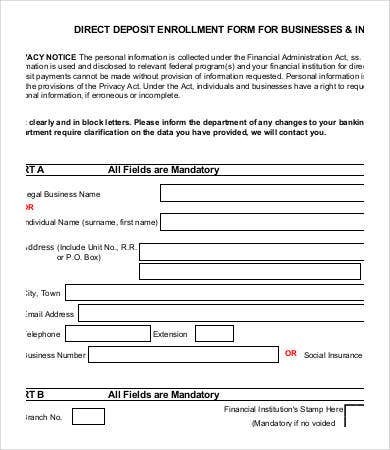 Advance payments are usually sent using these forms in banks, while full payments are done in person. 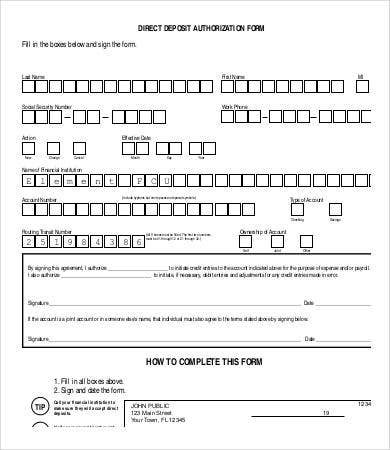 In case a person is not able to pay the stated sum to a company or another individual, he or she should sign a written document promising to deposit the money at a specified date or on demand. 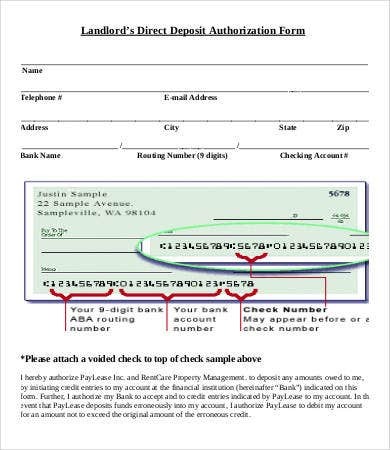 A Promissory Note Form is needed for this transaction. Payroll. As time goes by, employers have turned to using technology to pay their workers as giving salaries in person requires a lot of time and energy. Pays are deposited in banks where it can be withdrawn even at the same time. Monitoring. 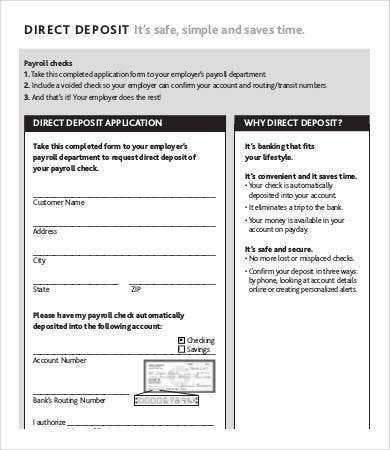 Banks use deposit forms to monitor money deposited within a business day. They are used to make sure that all funds are accepted by the bank and nothing slips through the cracks. 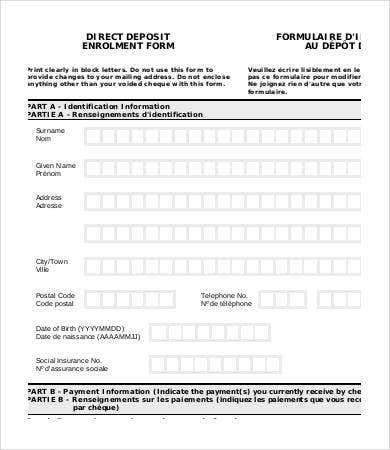 With different types of deposits, it is important that deposit forms contain what type of funds is being deposited along with the account in which it should be placed into. 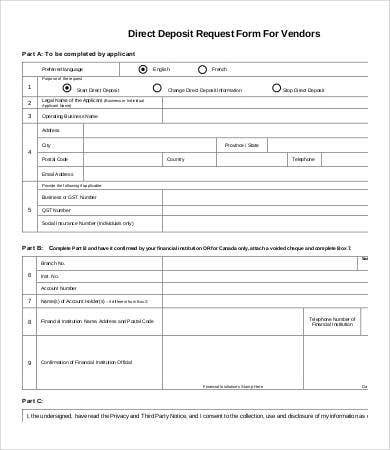 A properly filled deposit form ensures a properly processed transaction. 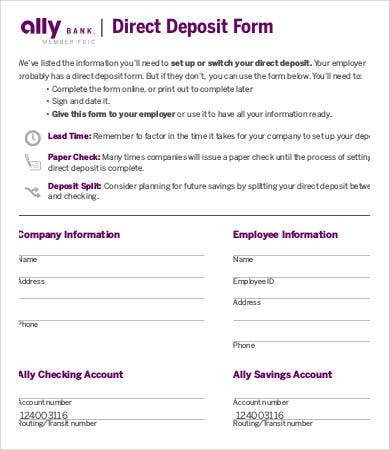 Direct Deposit Forms save you from the hassle of visiting a bank. They should provide fast and trouble-free processing as all necessary information is already filled in by the depositor. 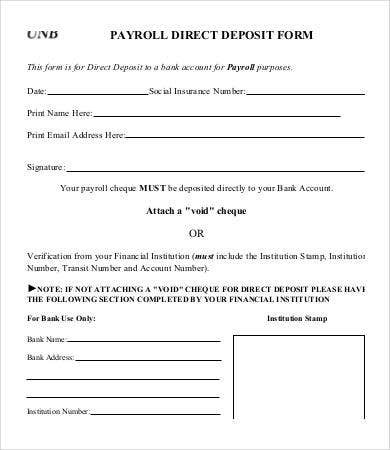 With a deposit form, the safety and accuracy any deposit are guaranteed. 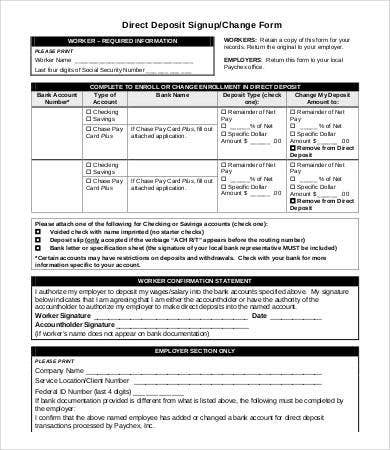 Aside from the Direct Deposit Form templates, you can find on this page, see other types of forms such as the Check Request Form templates on this website, as we have all that you need for your every money transaction.